Nicole Moudaber is currently taking the electronic music world by storm and joins us at 91.5 & 102.5 FM Phuket Island Radio. Initially from Lebanon, Nicole now tours world-wide playing the biggest and best clubs and festivals, as well as presenting her weekly radio show In The Mood for us to enjoy here in Phuket. Nicole Moudaber is showing no signs of slowing down. She has been described as the new “Queen of the Airwaves” and we are delighted to have her here on 91.5 & 102.5 FM Phuket Island Radio. 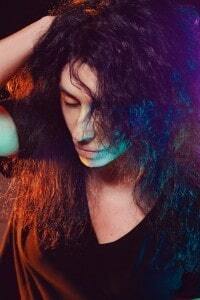 Tune in Sunday morning on 91.5 & 102.5 FM Phuket Island Radio from 2am-3am to hear In The Mood by Nicole Moudaber. Want more? We have a world famous DJ line up whether you’re enjoying our paradise island Phuket or streaming online anywhere in the world.